The British Media targets Rio Ferdinand in a perverted twist to the John Terry racist trial. The John Terry racism trial has been turned on its head by the media as Rio Ferdinand is accused of being a racist for responding naively to a tweet which referred to Chelsea defender Ashley Cole as a “choc-ice” after he appeared as a defence witness for Terry at the trial. For this comment Rio Ferdinand is now being accused of being racist towards Ashley Cole by the media who has been quick to jump on the Let’s Kick Racism Out Of Football campaigner. Let us first deal with the phrase used. ‘Choc ice’ just like the term ‘bounty’ or ‘coconut’ within black culture refers to a person who is black on the outside and white on the inside. More importantly, it identified individuals who sided with white racists to the detriment of their own race, often playing the role of a double agent. There is nothing racist about this term when viewed in the proper context but the media have deliberately taken the term out of context to distort the historical understanding of the term racist. Abbott knew what she meant by that term, and most people from black and minority ethnic backgrounds with a grasp of history and politics will have understood what she meant by that term, but the British media blew her comments out of proportion and said she was racist towards whites. If you read any one of these articles which I have wrote, Peaceful Assassins: How non-governmental organisations are the new agents of Western imperialism, or The global terrorist network and its links to western intelligence or U.S. planned regime change in Syria from 2001, you will see what Abbott meant by whites playing the divide and conquer tactics because these are the tactics that predominately white leaders in the world today continue to control the world’s resources and the populations of Africa, the Middle East and Asia. Ferdinand was blatantly foolish and naive to fall into the same net which Abbott found herself in months ago. Black public figures need to understand that the media is watching them like a hawk, and one word, phrase or term out of place and they will be headline news, especially if it dilutes the racism battle. Ashley Cole is friends with both Ferdinand and Terry, and he may think that he was doing the right thing by defending Terry on racism charges, but what he has actually done is set race equality back years. Cole repeated what Terry himself said at the trial that he was only sarcastically repeating back what Anton Ferdinand, the brother of Rio Ferdinand thought he had said. Why would Anton mistakenly overhear the term black? And why would Terry, considering the Luis Suarez saga (Read Racism will probably never be kicked out of football as long as punishments are lenient) even think of repeating the same term? Something just does not add up about Terry’s version of events and and it seems Cole failed to spot that. Black public figures such as Cole are blind to the fact that the British media has had an agenda to dilute the battle against racism for a long time. Yet behind this agenda is animosity towards racial equality for black and minority ethnic groups in the labour market and in living standards etc., the reality however is astonishingly different. 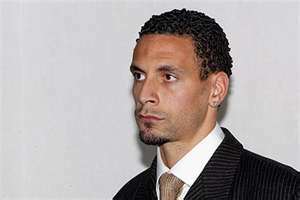 Rio Ferdinand responded to accusations of racism by saying, “What I said..is not a racist term. Its a type of slang/term used by many for someone who is being fake. So there.” Yet he should not have to explain himself to individuals who have an agenda to dilute race relations and who now clearly have the monopoly on defining racism, and this is where black and minority ethnic communities are in serious trouble. If we continue to allow a predominately white media and government to define racism and set the race agenda, soon even saying ‘Black is beautiful’ will be deemed racist. This entry was posted in Sport and tagged John Terry racism trial, Rio Ferdinand is accused of being a racist. Bookmark the permalink. The John Terry and Luis Suarez incidents aren’t proof that racism is still a problem. What they tell us is that the meaning of racism has changed. Many will argue that, while a certain level of banter and rivalry is acceptable in football, racial abuse crosses the decency threshold. Racist speech is, in other words, a modern taboo. It is no longer seen as the expression of a political ideology but as something more akin to a sin. Anti-racism, by the same token, is no longer a political project but an inquisition against racial name-calling. Footballers are obliged to demonstrate allegiance to the anti-racist orthodoxy by observing new devotional rituals: wearing t-shirts, pre-match handshakes and reading out prepared anti-racist statements.